I offer educational workshops and classes on a rotating basis, depending on the demand and level of attendance. If you're interested in learning more about any of the following programs, or in arranging for me to teach a class not discussed on this page, please contact me for more information. For more details about upcoming events and my aromatherapy work, visit my essential oils website and check the “calendar” – www.arlenesessentialoils.com or my Facebook page. As the only Canadian Certified Level 4 Trainer in Advanced Energy Psychology/Energy Diagnostic & Treatment Methods (AEP/EDxTM), I offer all four levels to practitioners and therapists, and recommend to Fred Gallo those who have completed all four levels and are qualified to be certified as AEP/EDxTM practitioners. Certification is based on my recommendation. Learn more about these therapies on my energy psychology page, or contact me for details on upcoming courses. This course is great for therapists looking to expand their training, as well as for laypersons who want to learn to use energy psychology as a self-help tool. Each level builds on the previous levels and teaches tools that can be put to use immediately in your practice or your personal life. Contact Arlene directly for more information. Fee: $400 + HST per level ($452). If registering for both levels, $750 + HST ($847.50). If you are repeating a level, fee is $200 + HST per level ($226). You can enroll for one level only, or for both. Open to all who are interested. Space is limited, your payment secures your registration. Contact Arlene at arlene@web.net or 416-766-8261 for additional information. Animals and Essential Oils: Keeping our pets healthy naturally! Contact Arlene at arlene@web.net or 416-766-8261 for more information. Dogs welcome! Contact Arlene at arlene@web.net or 416-766-8261 for more information. Learn how to care for yourself, your family, and your clients with essential oils that nourish and support our emotional and spiritual selves: Release, Inner Child, Harmony, Valor, Present Time, and Forgiveness. 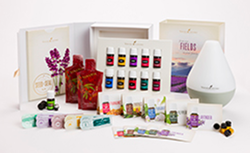 Whether you're new to aromatherapy or exploring your health options, this introductory workshop will introduce you to living a healthy lifestyle, “living above the line” with essential oils focusing on the Young Living Premium Starter kit which has 11 essential oils suitable for a variety of situations. Find out how you can replace everyday personal care products and improve your home, work, and your health with non-toxic, green options. I am currently offering regular sessions about essential oils and everyday wellness issues. Each workshop is devoted to a different health topic, ranging from cleansing to emotional well-being. Check my calendar at www.arlenesessentialoils.com for regular updates. Read about therapeutic grade essential oils and aromatherapy or contact me to learn more.